Whenever I was laid off back in April 2016 I had a fairly sizable amount of cash in my 401k that I was set to rollover into an IRA. With a large amount of cash on hand I wanted to explore a more active approach to generating income from my portfolio as opposed to the rather mundane dividend growth investing. Don't get me wrong I love dividend growth investing, but I also want to look for ways to get to financial independence sooner rather than later. So I embarked on a strategy to trade options in order to generate a higher income from the same capital base. There's more risk involved, especially if you venture into underlyings that you aren't willing to own, but the income generation can be quite substantial. For the bulk of my option trading capital I stick with fairly simple things such as selling puts or calls and don't venture into the more complicated strategies that are out there. The results for 2017 were fairly solid and encouraging, although the one way move higher in the markets meant that I missed out on potential gains as opposed to just buying the market. Things turned around in May after April's disappointing loss of $63. I was able to lock in $1,414.68 in profits from option trading last month which was a solid rebound from the month prior. 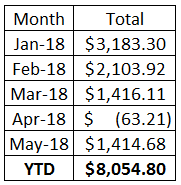 Through the first 5 months of the year I've been profitable in 4 of the 5 months with total profits, before tax, coming in at $8.054.80. So far so good. If you're interested in using options, TastyWorks is one of the cheapest brokerage firms out there with just $1 per contract commissions to open and $0 to close. Commissions on stock purchases are $5. If you sign up for an account through this link and deposit at least $2,000 I will receive a referral credit that can be redeemed through TastyWorks' referral program. The trade I wanted to highlight for May, the position was closed in May, started off as a synthetic naked put. It was synthetic because I had sold a put option and then purchased a much further out of the money option to free up cash by creating a spread instead of having the full cash secured amount held for the trade. 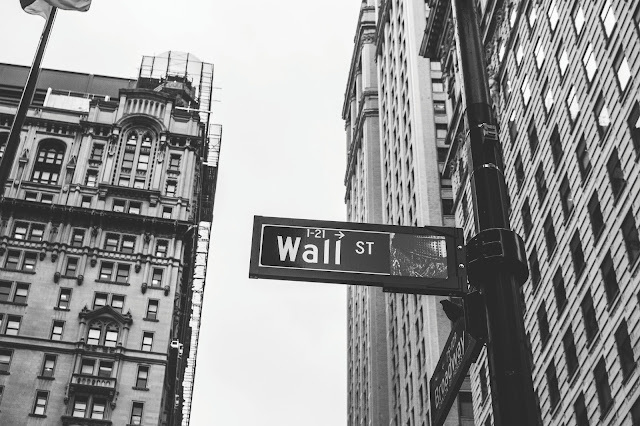 The trade was made in an IRA account where you can only sell cash secured puts as opposed to a taxable margin accounts where you can get the margin relief on the position. The reason I wanted to highlight this trade is because it shows lots of trade management decisions that I made along the way. The majority of the time the positions are on and then off in less than 1 month's time, but this one stuck around for nearly 3 months before I was able to turn it into a winner thanks to some acommodative market movement. 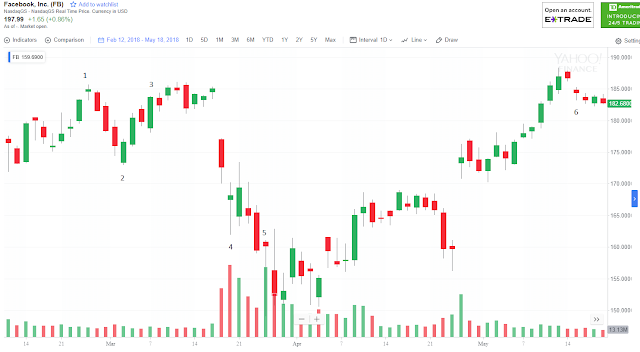 The original position was opened on February 26th by selling the $180 strike put option and buying the $135 strike put option. The net credit on opening was $189.11 after commission/fees. At the time Facebook was trading around $184 per share. See position (1) on the following chart. Unfortunately for me I had the impeccable timing of getting bullish right as the shares were hitting a short term peak. 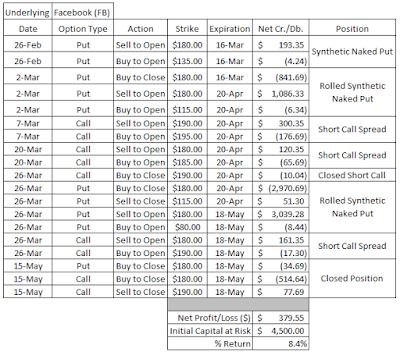 With Facebook's share price falling and the put option then moving in the money I decided to roll the put option out from the March 16th expiration to the April 20th expiration while keeping the same strike price. By moving out 1 month in expiration I picked up an additional $238.30 in credit bringing the total credits received to $427.41. Luckily I happened to time the roll near the bottom of the dip as can be seen at point 2 in the above chart. Facebook's stock price then just kind of sat there so I decided to add on a call spread to bring in additional credits and neutralize my deltas some. This was done at point 3 in the above chart. On March 7th I sold the $190 strike call option and bought the $195 strike call option expiring on April 20th and received an additional $123.66 in credits. That brought my total credits to $551.07 which improved my breakeven price to the downside but now with the $5 wide short call spread I was potentially looking at only make $51.07 if Facebook's share price moved up above $190. Then the Cambridge Analytica news broke and Facebook's share price plummeted to as low as $161.95. Early on March 20th I added on another call spread with the April 20th expiration. I sold the $180 call and bought the $185 call and brought in another $54.66 of credit. That brought the total credits received up to $605.73. That was done at point 4 in the above chart. On March 26th I rolled the $180 April 20th put to the May 18th expiration $180 put and added another $60.15 in credits. I added on the $180/$190 short call spread in May as well for an additional $144.05 in credits. As of point 5 in the above chart my position had morphed to the synthetic naked $180 put expirating May 18 and the $180/$190 short call spread. The total credits received up to this point was $851.19. With Facebook trading around $160 at the time I felt pretty comfortable making it a $10 wide call spread since Facebook was still $20 below the short strike or around 12%. I knew earnings were coming up towards the end of April but expected earnings to take more of a backdrop to the on going Cambridge Analytica story so the rebound wouldn't be quite as strong if earnings went well. Ha! So much for my plans. 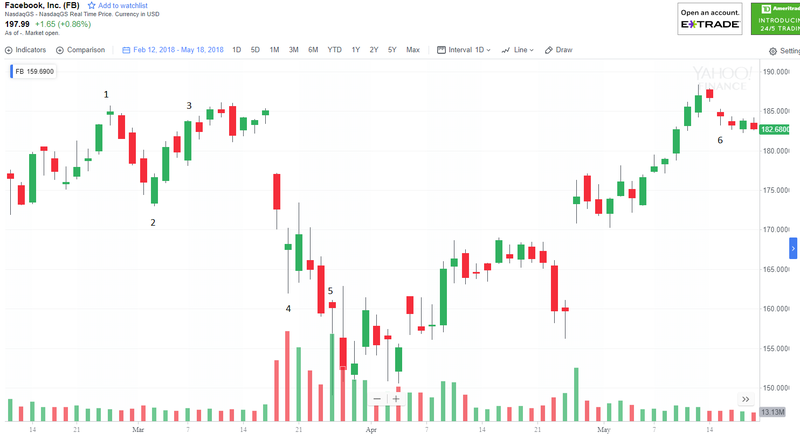 Facebook announced earnings after the market close on April 25th and market participants seemed to completely shrug off the Cambridge Analytica issues and the share price opened up 8% higher the next day and then continued its run higher over the next few weeks. 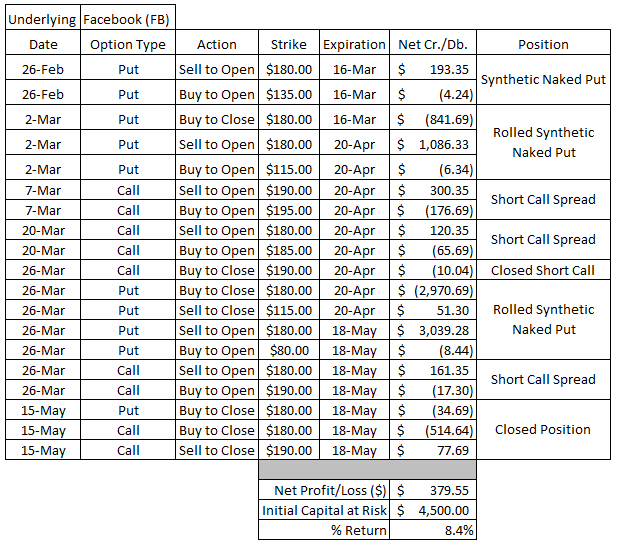 Finally on May 15th with Facebook trading around $185 I closed the position for a net debit of $471.64. Here's how the transactions and the overall trade went. Considering my short put was over $20 in the money during parts of this trade I can't really complain about turning it into a winner. Net profits on this position worked out to $379.55. Based on the initial capital at risk of $4,500, although I would have just taken the shares instead of the loss, that works out to a pretty solid 8.4% return in just under 3 months. Options trading has been a fun undertaking and something I will continue to explore going forward. My desire/attention for it might wane since it does require a lot more activity than just passive dividend growth investing, but the results so far are promising as a way to generate more return/income via option premium than from dividends alone. If you'd like to check out my option trades in between updates feel free to check out my Option Summary page that I update usually on a daily basis. Also if you're interested in options trading or have any questions feel free to leave a comment or shoot me an email. Do you utilize an option strategy on top of your core dividend growth investing?